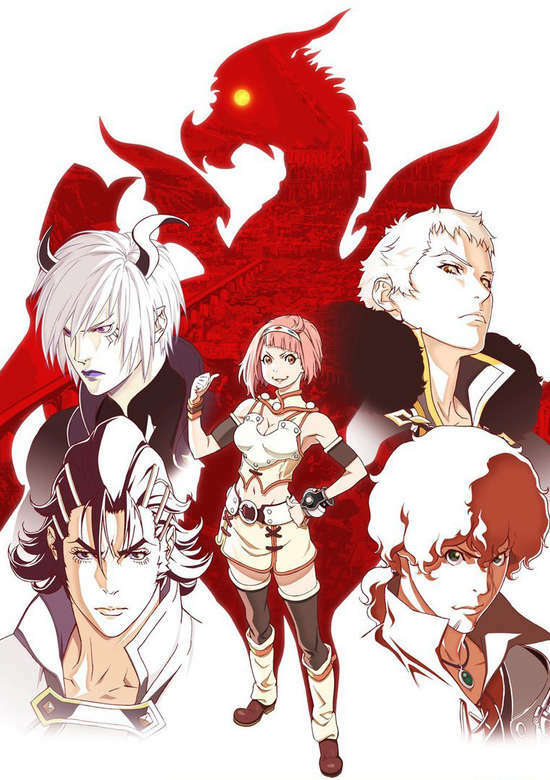 Shingeki no Bahamut: Virgin Soul is probably the first anime I’ve ever watched where I could afford to miss several episodes and still get the general gist of the plot. Admittedly, I’m not particularly fond of skipping episodes so in all likelihood, at some point, I will endeavor to watch the series from the beginning; until then I will resume watching the rest of the series to the end. The plot alone is simple hence why I was able to get away with watching three of the most recent episodes as well as excerpts from previous episodes. However, surprisingly enough it was not the simple plot, nor was it the dauntless, daring, and defiant female protagonist that captured my attention (albeit that was a contributing factor. Rather it was after exclusively watching the Cinderella-esque type ending featuring the main protagonist, Nina promptly going through the same sequence of events that Cinderella experiences, before dancing with prince charming at the ball that ultimately piqued my interest in this series. The relationship between Nina and Charioce is a complicated one; the two are on opposing sides much like the renowned star crossed lovers, Romeo and Juliet, but as Shakespeare declared in his play A Midsummer’s Night Dream, “the course of true love never did run smooth.” This leads me to believe that despite the obstacles and challenges that lie ahead of them, there is still hope that the love between these two characters will prosper. I haven’t figured out whether Charioce is the anti-hero or the main antagonist of the show, but I have an inclination that he is the former. Episode 19 put a spin on Disney’s Cinderella story with the ball ending with Charioce quashing Nina’s hopes for a fairytale ending and denying his feelings for her. Despite the tumultuous emotions raging through her, Nina manages to compose herself (after a good cry) and escape with Favaro and Kaisar until an assassin shows up. Things are heating up; how will Nina escape from the clutches of this assassin? What are Charioce’s true intentions and how will the relationship between Nina and Charioce progress? I can’t wait to learn the answers to these questions.